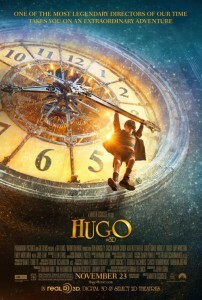 What I wish would win: Hugo. Far and away my favorite film of last year. Part of this was because I had absolutely no expectations with the film. I just loved it. I loved learning about a part of film history. I loved the acting. I loved the look of the film. If it was up to me, this film would win nearly every award it is nominated for. But I think this is just not in the cards. 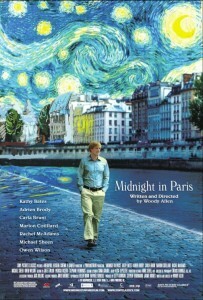 My second choice would be Midnight in Paris. 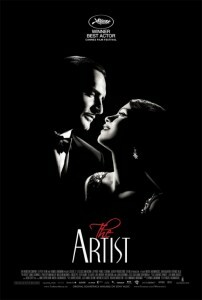 What I think will win: The Artist. Does anyone really think this is not going to win? It has been a critical darling. Taking most of the major awards across the board. It would really shock me for the award to go to someone else at this point. While I enjoyed it, I would not pick it as the Best Picture of the year. But I personally wouldn’t have picked The King’s Speech last year either. 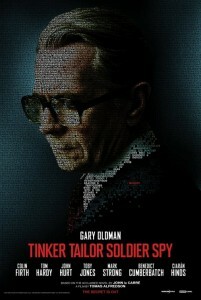 Who I wish would win: Gary Oldman. This is the only choice I like in this category. I must admit I have not seen Demian Bichir, but Oldman does so much with so little. His body language. The quiet looks he gives. The way he observes. He created a memorable character while giving us so little information actually said about him. Also, it’s a crime that this is his first ever Oscar nomination. He has been turning in great work for years. Who I think will win: Jean Dujardin. 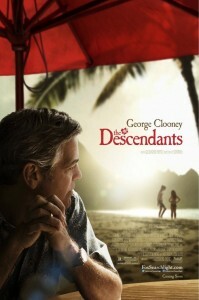 This race is between Dujardin and Clooney. While Hollywood does love Clooney, I think they will award Dujardin for the emotions that he portrays without speaking a single word until the last minute of the film. It is quite a performance. In my opinion, over the top and a caricature. But that is also what the film requires. And Dujardin is so damn likable right now. It is hard not to want to see him up there accepting the award. Who I wish would win: Viola Davis. I have only seen Rooney Mara and Viola Davis’ performances out of this category so I guess I am not really a fair judge. But I was really moved by Davis in the film. While I loved the entire cast, she was the focal point for me and pushed the film to make my top ten of the year. Who I think will win: Viola Davis. Like Best Actor, this category has essentially come down to two: Meryl Streep and Viola Davis. I think the SAG award that Davis received for this performance is a good indicator of how the academy will vote. Who I wish would win: Nick Nolte. I was extremely impressed with the film. While you could probably predict every step of the film, the performances and execution still kept me engaged and emotionally invested. The biggest emotional scene in the whole movie is when Tom Hardy’s character takes his drunken father in his arms to help calm him. As soon as the scene eneded, I wanted at least a nomination for Nolte. But I think it’s too much to ask for a win. Who I think will win: Christopher Plummer. If Albert Brooks had been nominated, I would maybe second guess myself. I think this and Best Picture are my only certain locks for winners. I could be wrong. Doubt I am though. I think Plummer gives a great performance. I am far from upset about him winning. Who I wish would win: Jessica Chastain. This is more for her year overall than the particular film. 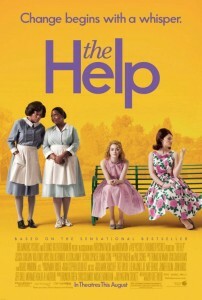 But she was also great in The Help. I also love Melissa McCarthy. 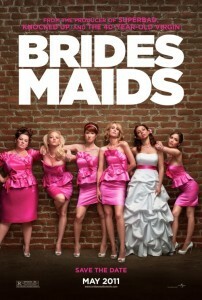 While I think Bridesmaids is the most overrated film of the year, McCarthy was by far the best part and made the movie worth watching for me. Who I think will win: Octavia Spencer. I think she has won almost every award in the category leading up to the Oscars. If you are betting against her, I hope you don’t put too much money down. Who I wish would win: Woody Allen or Martin Scorcese. I loved both films. Scorcese created a 3D film that I actually cared about. He got two great performances out of two inexperienced kids. And he wrote, what I believe is, the ultimate love letter to cinema history. Woody Allen made one of his best films in years. And hit on a theme that I think we all encounter on a regular basis, seeing the world through rose colored glasses. Who I think will win: Michel Hazanavicius. This just goes with the Best Picture win. A film Hollywood is currently enchanted by. Though, I could definitely see the Academy recognizing The Artist for Best Picture and Midnight in Paris or Hugo with director. The rest of the categories I have only provided my prediction for winner, not necessarily who I think want to win.